Legendary Las Vegas golfers Jerry Foltz, Barbara Christensen, Voss Boretaand Doug Pool to be honored at TPC Summerlin on October 16. LAS VEGAS – There is a deep tradition and history of golf in Las Vegas that dates back to the inaugural PGA TOUR Tournament of Champions in 1953, and all the way up to the playing of this year’s Shriners Hospitals for Children Open for the 32nd-straight year. And a whole bunch in between. The mission of the Las Vegas Golf Hall of Fame is to capture and honor that illustrious history while helping to promote the future of the sport in Southern Nevada. For the fourth-consecutive year, the Las Vegas Golf Hall of Fame Night of Induction is the first official event of the Shriners Hospitals for Children Open in Las Vegas. The new inductees for 2015 are Las Vegas Golf and Tennis Founder Voss Boreta (1934-2013), lifetime volunteer Barbara Christensen, Golf Channel analyst Jerry Foltz, and top amateur Doug Pool. The 2015 inductees join a long list of deserving golfers with strong ties to the Las Vegas golf region who have been previously inducted. That list includes Butch Harmon, Ryan Moore, Charley Hoffman, Stephanie Louden, Dwaine Knight and the 1998 National Championship UNLV Golf team among others. 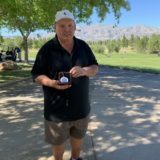 Jim Colbert, one of the founders of the 1983 Las Vegas PGA TOUR event that blossomed into what is now the Shriners Hospitals for Children Open, is also a Las Vegas Golf Hall of Fame member. Voss Boreta (1934-2013) was a longtime resident of Las Vegas who made an international impact on the golf retail business. From a small shop in Las Vegas where he utilized an ad in Golf Digest, he created the Las Vegas Golf and Tennis retail empire which at one time included 70+ locations and revolutionized the golf mail order business. He also created what is now the TaylorMade Golf Experience and was a benefactor to aspiring professionals including Edward Fryatt, a xxxx inductee into the Las Vegas Golf Hall of Fame. Barbara Christensen is one of the longest-standing and most distinguished amateur golf volunteers in the history of the Las Vegas Golf Region. She began volunteering for Las Vegas golf organizations in the early 1960s and was named an honorary member of the public Las Vegas Golf Club in 2007 in recognition of her decades-long service. She also served as a United States Golf Association rules official and was the 1991 Women’s Southern Nevada Amateur Champion in 1991. Jerry Foltz currently serves as a lead golf analyst with Golf Channel, but his roots in golf date back to Las Vegas. He grew up in Southern Nevada and was one of the best junior golfers in the history of the city. He represented the city in the America’s Cup tournament prior to attending college at the University of Arizona where he was an all-conference selection in 1984. He turned professional in 1990, but unfortunately three days later sustained a serious back injury that hampered his playing career. He won the 1995 Nike Tour (now the Web.com) South Carolina Classic and played in seven PGA TOUR tournaments in his career. Doug Pool is one of the best amateur golfers in the history of Las Vegas, and continues to play a very active schedule as a senior player. 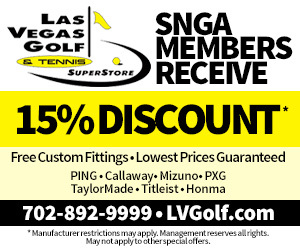 He is a three-time Southern Nevada Golf Association major winner and has won multiple other SNGA tournaments. He also is a multiple winner of the Golfweek Senior Amateur and has competed in the United States Senior Amateur. He also finished as the runner-up in the 2012 British Senior Amateur. The first official public event for the new inductees is June 29 at the Top 100 Cascata for the annual Las Vegas Golf Hall of Fame Classic Pro-Am presented by Club Car. The Night of Induction and Classic Pro-Am presented by Club Car are open to the public. Information and tickets for both events are available at www.LasVegasGolfHOF.com. The 2015 Shriners Hospitals for Children Open brings the FedExCup to Las Vegas as the PGA TOUR returns to the Las Vegas valley for the 33rd consecutive year. Many of the top golfers in the world will participate in the competition and help support the mission of Shriners Hospitals for Children®, fromOctober 19 – 25 at TPC Summerlin. 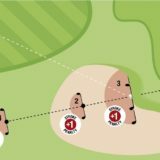 For more information, visit shrinershospitalsopen.com. Follow the Shriners Hospitals for Children Open on Facebook, Twitter and Instagram.. The mission of the Las Vegas Golf Hall of Fame is to celebrate and bring awareness to players, administrators, benefactors, groups, instructors, teams, and other worthy golfers who have served the game of golf in Las Vegas in a positive and meaningful way; whether through performance on the course, volunteerism, financial support, promotion, or other dedicated service. An additional aspect of the mission is to help reveal Las Vegas as a great golf destination and has done this by hosting international media at the home exhibit. Las Vegas Golf Hall of Fame Inductees with Class Year: Frank Acker, 2014; Tommy Armour III, 2008; Craig Barlow, 2011; Charlie Baron, 2010; Jerry Belt, 1991; Jimmie Bullard, 2009; Helen Cannon, 2004; James Cashman, Jr., 1998; Clyde Cobb, 1991; James Colbert, 2002; Mike Davis, 2015; John Difloure, 2014; Eddie Draper, 2004; Eric Dutt, 2008; Brady Exber, 2006; Edward Fryatt, 2009; Brenda Knott, 2013; Las Vegas Founders, 2004; Robert Gamez, 2002; Butch Harmon, 2006; Ernest Haupt, 1998; Charley Hoffman, 2012; Richard Huff, 2004; Laurie Johnson, 2011; Joe Kelly, 2010; Dwaine Knight, 2009; Stephanie Louden, 2015; Bob May, 2013; Don “Mac” McCoy, 2012; Ryan Moore, 2012; Ray Norvel, 2013; Louis Redden, 2008; Stuart Reid, 1991; Chris Riley, 2004; Jerry Roberts, 2008; Art Sellinger, 2011; Jack Sheehan, 2009; Tom Storey, 2006; Charlie Teel, 1991; Tournament of Champions, 2010; 1997-98 UNLV Golf Team, 2002; Valley View Golf Club, 2012; C. Pat Walker, 1998. Bill Walters, 2013. Shriners Hospitals for Children® is changing lives every day through innovative pediatric specialty care, world-class research and outstanding medical education. Our 22 locations in the United States, Canada and Mexico provide advanced care for children with orthopaedic conditions, burns, spinal cord injuries, and cleft lip and palate. For more information, visit shrinershospitalsforchildren.org. Worldwide, PGA TOUR tournaments are broadcast to more than 1 billion households in 225 countries and territories in 32 languages. Virtually all tournaments are organized as non-profit organizations in order to maximize charitable giving. In 2014, tournaments across all Tours generated more than $140 million for local and national charitable organizations and in early 2014 the TOUR’s all-time charitable contributions surpassed $2 billion.